Human rights defender, political prisoner Nikolai Kavkazsky who was charged with the Bolotnaya Square Case joined the YABLOKO party. Actually, Nikolai Kavkazsky joined YABLOKO in 2007. He participated in the party’s work and campaigns. In 2011 Nikolai was elected Deputy Chair of the Moscow branch of Youth YABLOKO and ran for the Deputy of the State Duma at the parliamentary elections in 2011 as YABLOKO candidate. But in 2012 Kavkazsky left the party to devote himself to the development of a decent social-democratic movement in Russia. But on July 25, 2012, Nikolai Kavkazsky’s flat was searched and he was arrested by the Investigative Committee agents. Nikolai spent more than a year in a pre-trail detention centre and on August 2, 2013, his detention waschanged to home arrest. The activist was charged with participation in mass riots (paragraph 2, article 212 of the Russian Criminal Code), but was amnestied on December 19. According to the accusation, Kavkazsky hit a policeman. An independent investigation undertaken by a journalist from the “Grani.ru” human rights organization implies that Nikolai was not beating the policeman but was rather dodging the blows. 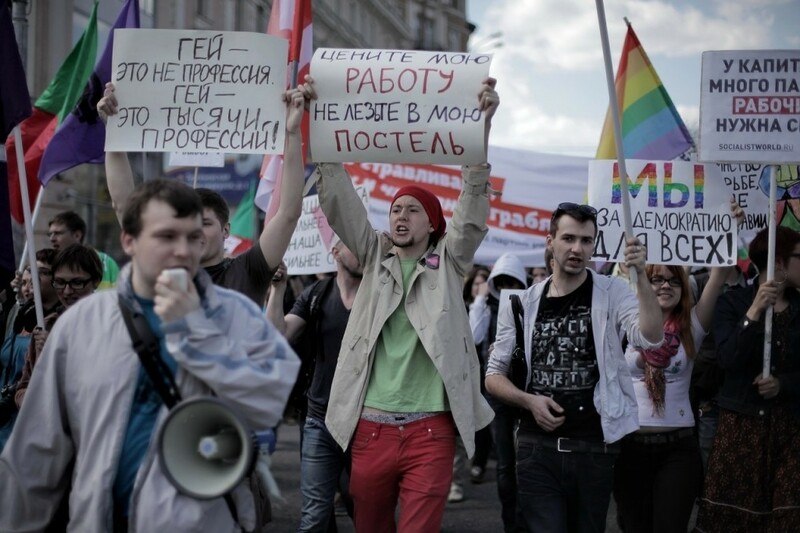 The Bolotnaya Square Criminal Case followed a peaceful protest against election fraud and Putin’s inauguration on May 6, 2012. According to eyewitnesses, the riot police suddenly blocked the way to Bolotnaya square where the sanctioned rally was planned to take place, thus provoking a clash with the protesters. More than 400 people were detained and beaten by riot police that day. A criminal case was opened later. The Investigative Committee have established 27 suspects and two of them have already been sentenced to 2.5 years and 4.5 years imprisonment. Well-known human rights defenders, politicians and civil activists claim the case is politically motivated. However, the State Duma passed the amnesty bill on December 18, 2013. Nikolai Kavkazsky, Vladimir Akimenkov, Leonid Kovyazin and Maria Baronova were amnestied the next day. Four more prisoners are expected to be realized soon. Nikolay Kavkazsky’s health conditions had grown worse in detention as he suffers from multiple diseases such as rheumatoid arthritis, headaches, scoliosis, respiratory failure, heart disease, gastritis, allergy, dermatitis. 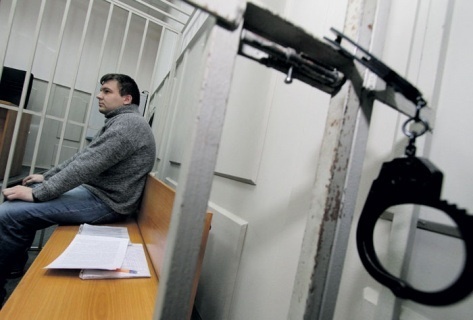 His lawyers Sergey Minnenkov and Vadim Kluvgant (also lawyer of Mikhail Khodorkovsky) had drawn the attention of court to the fact that Kavkazsky was denied in treatment many times. Nikolai Kavkazsky is a famous opposition activist known as a human rights defender. He is a lawyer at the Committee For Civil Rights headed by Andrei Babushkin (member of Presidential Council for Human Rights, YABLOKO Bureau member). 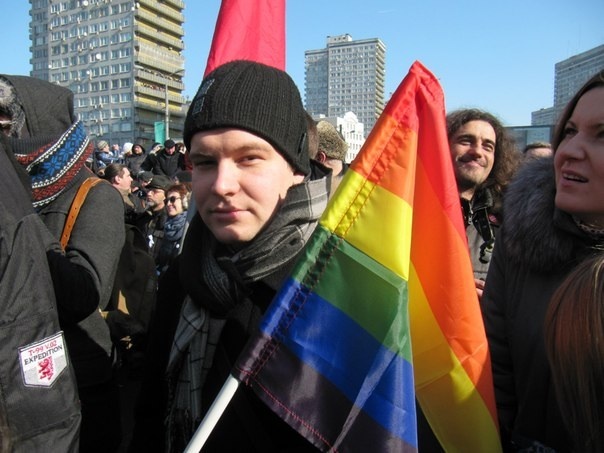 Kavkazsky is also known as a feminist and LGBT rights defender. He had recently published several articles on the social-liberal alternative, rights of prisoners, nationalism, juvenile justice and coming 2014 elections to the Moscow City Duma. “YABLOKO is the party that unites democrats, not just democrats, but opponents of all kinds of nationalism. The main differences between YABLOKO and the other Russian parties are honesty, progressiveness and consistent participation in mass democratic opposition actions and rallies. 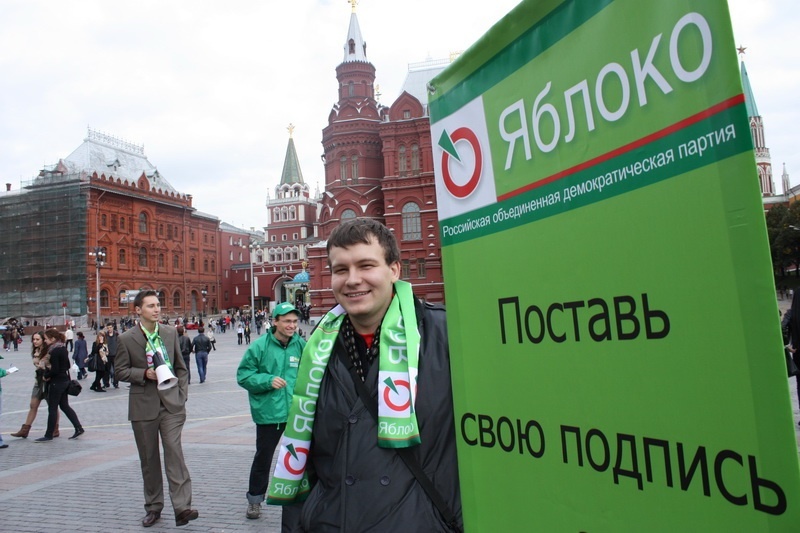 Moreover, YABLOKO is the only party in Russia that has factions which enables the inner-party discussion and democracy. I voted for Sergei Mitrokhin at the Moscow mayoral elections. One of the main reasons for this is Mitrokhin’s tolerant attitude to migrants in comparison with the other mayoral candidates,” said Nikolai Kavkazsky. Nikolai arrived at YABLOKO office right after the court declared he was amnestied. YABLOKO leader Sergei Mitrokhin congratulated Kavkazsky and welcomed his decision to join the party. “YABLOKO is a social liberal party, but we have a Social Democratic faction so that we could have a true dialogue with people of more left-wing views. 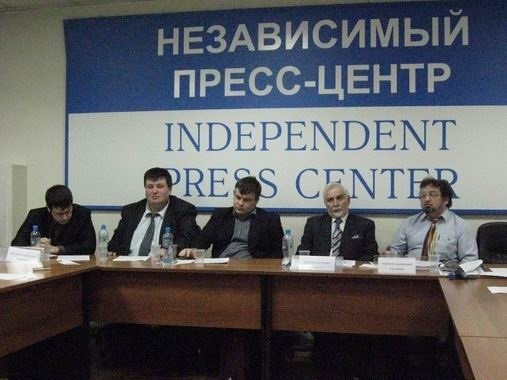 I’m glad that the party’s structure allows to do so,” commented Sergei Mitrokhin. The YABLOKO party claims that all the Bolotnaya prisoners should be amnestied. YABLOKO participates in the rallies for freedom of the Bolotnaya Case prisoners and claims the activists are innocent and should be released immediately. 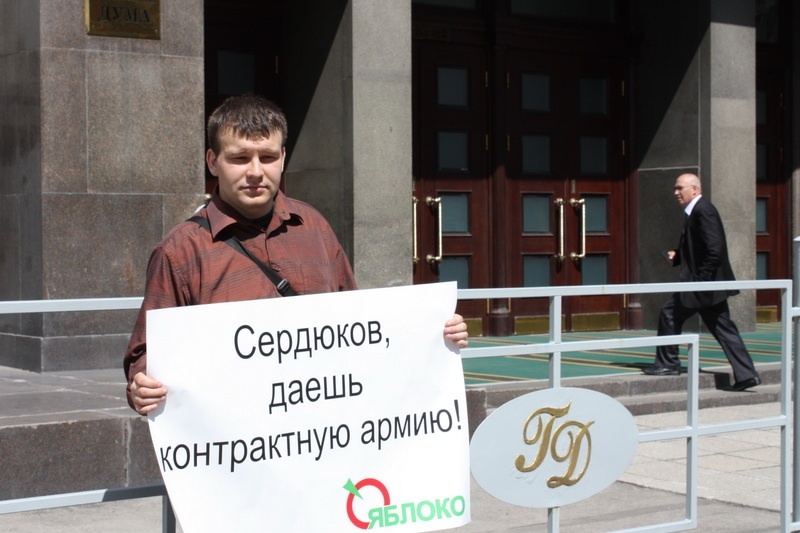 YABLOKO activists usually come to the court hearings to support the political prisoners and call other representatives of civil society to do so.